Perupetro negotiates with oil and gas companies working in Peru. Peru’s government has announced it will hold an auction for oil and gas concessions towards the end of April. The auction was announced by Daniel Saba, head of Perupetro, the government body responsible for promoting oil and gas exploration in the country and negotiating contracts with companies. According to the government’s news agency, Perupetro is hoping to attract major oil companies like Total and Exxon Mobil to bid in the auction. Many of the concessions are expected to be in the Amazon, although their exact location remains unclear. 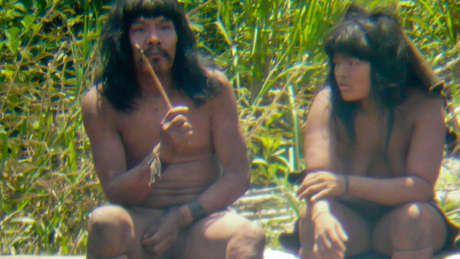 Survival is urging Peru’s government not to permit any oil and gas exploration on land inhabited by uncontacted tribes, or any area where it has not obtained the free, prior and informed consent of the people who live there. The auction was originally intended to be held last August, but has been suspended on at least two occasions. Perupetro’s promotional work for the auction will begin in Houston on 10 February. In the 1990s Mobil, now part of Exxon Mobil, controversially explored for oil in a region of south-east Peru inhabited by uncontacted tribes. After an international campaign by organisations such as Survival and FENAMAD, Mobil abandoned the project.